Meet Mike Meru, pictured above. Meru is an orthodontist, practicing in American Fork, Utah. If you click the link on Meru's name, you can see his webpage. Click this link to read about the $1,000,000+ school loan debt that Meru accumulated in becoming an orthodontist. That's right, Meru "made a big investment in his education." As of May 24, 2018, he owed $1,060,945.42 in student loans. 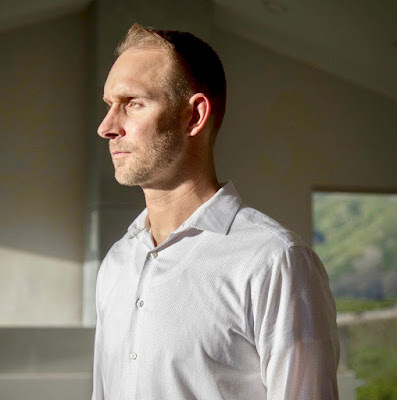 He pays only $1,589.97 a month - not enough to cover the interest - so his debt from seven years at the University of Southern California grows by $130 a day. In two decades, his loan balance will be $2 million. The government repayment plan affords the Meru family a comfortable life. Their home is on a mountain with panoramic views of the snow-capped peaks surrounding Salt Lake City. They take vacations, including a recent trip to Havana. He drives a used Tesla. However, the next financial crash, as Prins points out in her book, Collusion: How Central Bankers Rigged the World, won’t be like the last one. This is because, as she says, “there is no Plan B.” Interest rates can’t go any lower. There has been no growth in the real economy. The next time, there will be no way out. Once the economy crashes and the rage across the country explodes into a firestorm, the political freaks will appear, ones that will make Trump look sagacious and benign. 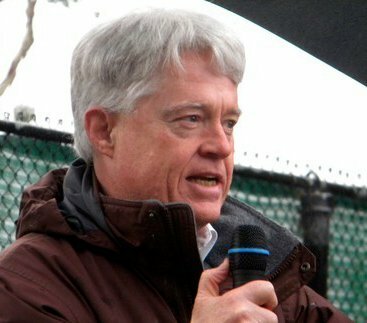 Chris Hedges is politically left-wing. He is predicting a massive social breakdown, based on the collapse of an economy based on unsustainable debt. Porter Stansberry is the opposite of Hedges. He is politically right-wing, but he, too, is predicting a total economic and social breakdown, based on the fact that our economy is now laboring under unsustainable debt. Stansberry, who is a financial advisor, has written an entire book documenting his predictions (and providing advice about what to do to protect yourself). 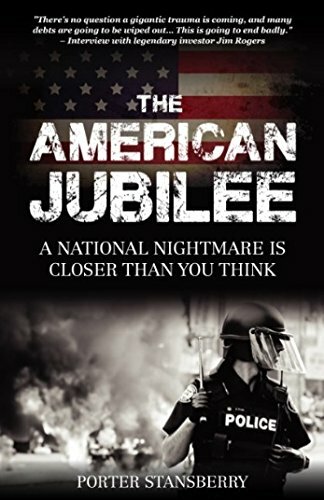 Stansberry's book is called The American Jubilee: A National Nightmare Is Closer Than You Think. Among the items of Stansberry's sage advice is that you should stock up on guns and ammunition, invest in silver and gold, and buy yourself a place to which you can flee when everything comes crashing down. He, personally, suggests Switzerland. I have already endorsed Hedges' suggestion about how to prepare for the coming collapse. It does not involve buying guns and ammunition. Instead, it involves preparing ourselves to act, together, to restore genuine self-government as our current government self-destructs. I missed the Great Depression, but my parents didn't, and I heard a lot about it. It is generally thought that "Roosevelt and his New Deal saved the country from socialism." Next time, let's be ready to save ourselves!